Bachelors of Science in Athletic Training Canisius College 2000 Master of Science in Kinesology and Health Promotion University of Kentucky 2002 Athletic Trainer Certified Board of Certification for Athletic Trainers Strong First Kettlebell (SFG) Level I Strong First Certified Strength and Conditioning Specialist National Strength and Conditioning Association CK-FMS Certified Kettlebell-Functional Movement Specialist Eric incorporates 12 years as an athletic trainer, strength coach, and post rehabilitation specialist to provide a detailed movement screen into your training sessions. In the first visit you will have a detailed Functional Movement Screen (FMS) to determine functional mobility of the body along with uncovering asymmetries of the body from right to left sides and core activation. From that point on Eric will develop a training program to eliminate the weakest link and maximize fitness and weight loss goals. Functional Movement Screen (FMS) will incorporate corrective exercises to decrease asymmetries in the body and help you accomplish your personal goals in fitness and in life. In the process of eliminating the weakest link you will also be developing mobility, stability, strength, stamina, resilience, and fat loss through training with kettlebells. 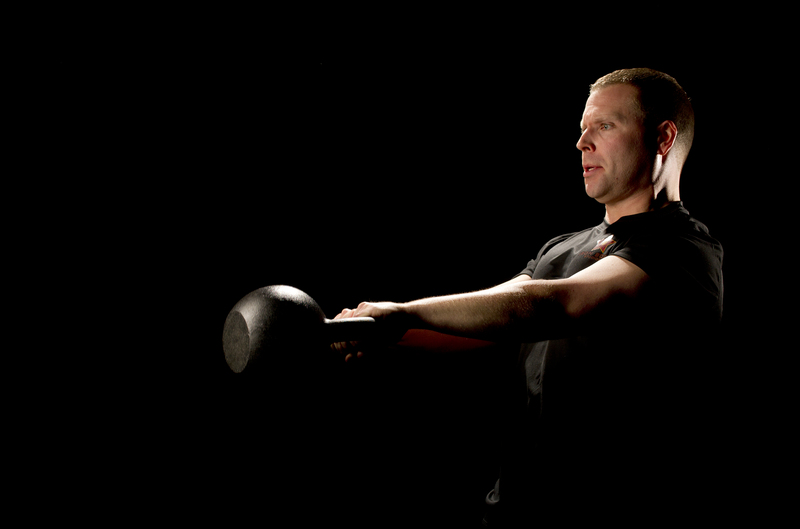 Eric is the only certified athletic trainer (ATC) in the New England area and state of Massachusetts to hold the RKC and Certified Kettlebell-Functional Movement Specialist (CK-FMS) certification. Eric is an accomplished movement based athletic trainer with several national and local presentations on the importance of finding symmetry in the body and developing strength on that right and left side movement symmetry. Eric’s eye for movement began while working with Division I athletes in undergraduate studies at Canisius College and then continuing at the University of Kentucky. Professionally Eric has worked with athletes from St. Bonaventure University in the Atlantic-10 conference to the University of Mississippi in the Southeastern Conference (SEC) while he was rehabilitating and balancing asymmetries with future MLB and NFL players. Eric served as the Senior Athletic Trainer for football at the University of Mississippi (Ole Miss) and most recently served as the Senior Athletic Trainer at Boston University. This experience has helped Eric develop a keen eye for helping athletes and clients merge the gap from injury to return to high level of fitness. Publications in Scholarly Journals: Gahan, E.W., Mattacola, C.G., Uhl, T.L., Malone, T.R. Relationship between isokinetic quadriceps and hamstring strength to lower extremity functional tests. Journal of Athletic Training, Acceptied for publication, 2002. What Eric's Clients are Saying: Matt G. Division I Athlete and Client Since 2009 In my 5 year stint as a Division I collegiate athlete at 2 different schools, Eric is the best athletic trainer I have had. His knowledge, experience and passion for nutrition, physical therapy and sport performance is second to none. On his week off in the summer, he still came in everyday at 6am to make sure I was continuing to progress and for that I couldn’t thank him enough. There are no better athletic trainer out there, and I am thankful for the opportunity to have worked with him. Click on the link below to read more Client Testimonials about Eric: www.dragondoor.com/instructor/Eric _Gahan/ Clinical Presentations: Incorporation of Hardstyle Kettlebell Training into Rehabilitation Gahan EW: Iron Body Studios, Presented to Sports Medicine and Strength and Conditioning Staff at Harvard University, March 2012 Incorporation of Hardstyle Kettlebell Training into Rehabilitation Gahan EW: Iron Body Studios, Presented to Sports Medicine and Strength and Conditioning Staff at Northeastern University, June 2011 Incorporation of Kettlebells into Rehabilitation Gahan EW: Department of Athletic Training Services, Boston University, America East Conference Sports Mecdicine Annual Symposium, Boston MA, May 2011 Non-Operative Rehabilitation of Sports Hernia Gahan EW: Department of Athletic Training Services, Boston University, Case report accepted for College Athletic Trainers Society Annual Symposium, Las Vegas NV, April 2011 Brachial Plexus Injury in a Division I Football Player Gahan EW: Department of Sports Medicine, University of Mississippi, University, MS,Case report accepted for Annual SEC Sports Medicine Meeting, April 2007. TFCC Repair in a Division I Baseball Player Gahan EW, Giessler W: Department of Sports Medicine, University of Mississippi, University, MS, case report accepted for Southeast Athletic Trainers Association Annual Meeting, March 2007. Relationship Between Isokinetic Quadriceps and Hamstring Strength to Lower Extremity Functional Tests Gahan EW, Mattacola CG, Uhl TL, Malone TR: Division of Athletic Training, University of Kentucky, Lexington, KY, abstract accepted for Southeast Athletic Trainers Association Annual Meeting, March 2002 and Journal of Athletic Training, Accepted for Publication, 37:2; S-97, 2002. Staphylococcus Aureus Infection in the Lower Leg of a High School Football Player Gahan EW, Uhl TL, Ireland ML: Division of Athletic Training, University of Kentucky, Lexington, KY. Presented to The University of Kentucky Sports Medicine Staff.